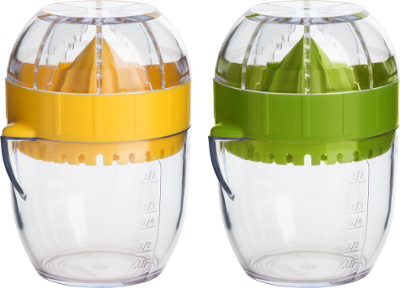 This handy citrus juicer will make a great addition to any kitchen or home bar. Comes with a 1/3 cup juice container, a juicer with strainer and a lid with serrated fins, designed to firmly grasp the fruit. 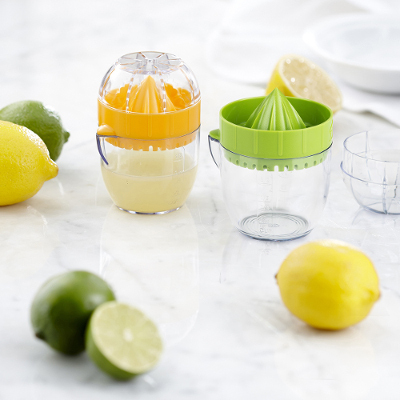 The juicer comes in lemon yellow and lime green.